Point2 Homes gives you far more than a simple list of houses for sale. Get instant access to a lot of relevant information about Cochrane, AB real estate, including property descriptions, virtual tours, maps and photos. The search results pages also have a wealth of information on Cochrane, AB, if you scroll all the way down. 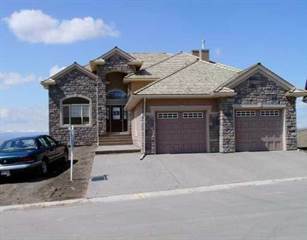 There are 245 houses for sale in Cochrane, AB. 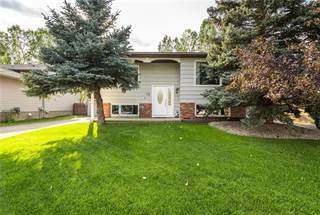 Searching homes for sale in Cochrane, AB has never been more convenient. 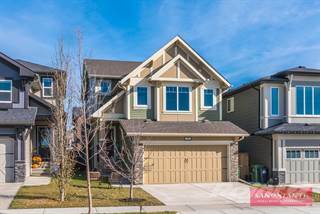 With Point2 Homes, you can easily browse through Cochrane, AB single family homes for sale, townhomes, condos and commercial properties, and quickly get a general perspective of the real estate prices. Also, you’ll never miss a bargain if you filter listings based on house price drops in the past six months. Use the map view to find Cochrane, AB homes and apartments for sale, based on amenities or city features that you may want close by. You can close in on a specific neighbourhood or area by simply drawing around them with the polygon or radius tools. Stay informed about the latest entries on the real estate market by saving your searches. This way, you get new listings in your inbox, daily or every week, based on your preferences. If you’d like to get in touch with a professional, agents are displayed next to their listings, and they’re easy to contact through the online forms. If you want more options, you can click the Tools tab and Find an Agent, and you’ll get a list of helpful and knowledgeable real estate agents in Cochrane, AB. Visit the Point2 Homes blog and you can find up to date expert advice on many markets throughout Canada, regular market reports, neighbourhood scoops in cities throughout the provinces, real estate deals and useful recommendations. Cochrane is located in the southwestern region of the province, close to the Alberta/British Columbia border. The town is situated near the communities of Calgary, Airdrie, Ghost Lake, and Redwood Meadows, and is close to the tourist areas of Banff and Canmore. Cochrane spans 29.83 square kilometers and has a population of over 25,000 people, making it one of the largest towns in the province. Several major park areas can be found west of the community. Cochrane has more than a dozen neighbourhoods. The northern section of town is mostly residential with parks and small bodies of water. Small pockets of commercial space provide restaurants and shops, mostly along major roadways. A large cemetery, an historical site, and an arena can also be found in this section. Being more densely populated, the central section of town has a wider variety of amenities in numerous commercial areas. Restaurants, service providers, retail stores, indoor recreational options, a movie theatre, churches, schools, and parks are all available here. Like the northern section of town, the southern section is also mostly residential, with some auto-related businesses and chain restaurants located on the main roadways. Numerous small bodies of water and some parks are also found here. The Cochrane Movie House screens a variety of blockbuster films daily and hosts private screenings, fundraisers, corporate events, and birthday parties. Established in 1998, the theatre has western-themed décor and a basic concession area. The Cochrane Farmers’ Market is a popular activity in the summer months and features vendors selling baked goods, fruits and vegetables, crafts, art, and other wares. The Farmers’ Market also partners with various downtown businesses to offer evening markets in the downtown area. The markets include vendors, buskers, food trucks, and other types of entertainment. Mitford Park is located in the town’s central section and offers ball diamonds, walking paths, greenspace, a soccer field, a pond, benches, sheltered seating areas, treed areas, and views of the Bow River. An indoor skateboarding park can be found nearby. Big Hill Springs Provincial Park, located northeast of Cochrane, features forested areas that are used for hiking, picnicking, geocaching, and wildlife viewing. Cochrane’s main industries include construction, forestry, education, professional services, retail, and home-based businesses. Major employers in the area include Rocky View School Division, Spray Lake Sawmills, Town of Cochrane, PNR Railworks, All Span Truss Systems, Walmart, ClearStream Energy, and Safeway/Sobeys. Cochrane Economic Development serves to support and promote local businesses and business investments in the community. Key sectors that the organization hopes to grow in the future include knowledge/technology, professional services, manufacturing, health and wellness, and hospitality. A mix of large, single-family homes and more affordable condo and row housing options can be found in the town’s northern section. The majority of homes in this section are newer builds, with large homes on smaller lots. High-priced vacant lots are sometimes also available here. The central section of town has a little bit of everything when it comes to real estate. Many older homes are available here and tend to be less expensive than the newer built homes on the edges of this section. Plenty of commercial properties are available here, mostly retail or restaurant-based. Condos are also very common here. Real estate in the southern section is similar to that found in the northern section. Most of the homes are large, newer built single-family homes, although there are also some condo and row housing options here as well. High-priced vacant land is also sometimes available here. Cochrane has many schools, including RancheView School, Cochrane High School, Mitford School, Holy Spirit Catholic School, Glenbow School, Bow Valley High School, Elizabeth Barrett Elementary School, Cochrane Christian Academy, St. Timothy Jr./Sr. High School, Ecole Notre-Dame Des Vallees, Manachaban Middle School, and Fireside School. A number of other schooling options can be found in the nearby city of Calgary. The only post-secondary option in Cochrane is the Canadian Southern Baptist Seminary & College. Residents must travel to other communities to access options such as Bow Valley College, the Southern Alberta Institute of Technology, Reeves College, Robertson College, Evergreen College, Alberta College of Art + Design, the University of Calgary, Mount Royal University, and the University of Lethbridge.